World is becoming calorie conscious! As per a study by Cornell University shows that restaurants whose menus listed calories ordered meals with 3 percent fewer calories - about 45 calories less - than those who had menus without calorie information. However, customers did not reduce dessert and drink, rather they ordered fewer calories in their appetizer and entree courses. "Even if you're an educated person who eats out a lot and is aware of nutrition, there can still be surprising things in these calorie counts," said co-author John Cawley, professor of policy analysis and management in the College of Human Ecology, Cornell University. Menu cards with calorie indicator was an eye opener to the chefs too. Especially the high number of calories in some dishes, such as a tomato soup/grilled cheese sandwich combo surprised them. 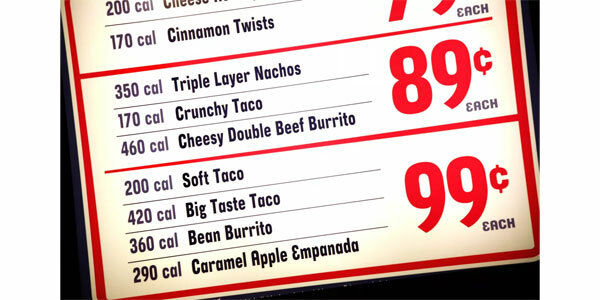 As part of the Affordable Care Act of 2010, it is a nationwide requirement that chain restaurants with 20 or more units post calories on menus and menu boards in U.S.A, which is expected to help it overcome its obesity crisis.